Flavored popcorn makes a terrific snack that can satisfy both sweet and savory cravings. I like to try different popcorn recipes when the kids have friends over for sleepovers or special movie nights. 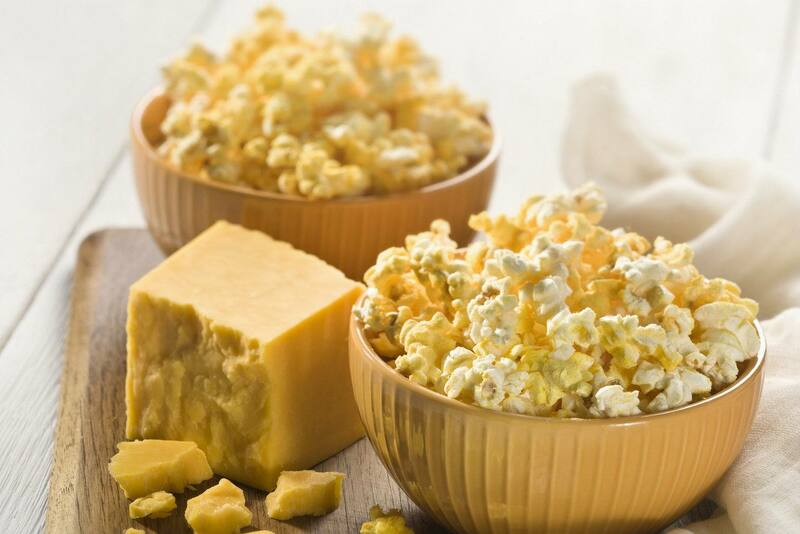 You can start with just about any type of popcorn for most of these recipes -- microwave popcorn, air-popped popcorn, stovetop popcorn or even pre-made bagged popcorn. But my favorite method is on the stovetop. Check out my review of the Whirley Pop popcorn popper. It's an ingenious gadget for popping popcorn on the stove. It's easy to use and does a great job of popping every kernel of popcorn in the pot. Unlike the cheese flavored popcorns you buy at the store, this cheese popcorn is made with real cheddar cheese (nothing powdered) and butter. This easy-to-make recipe is one of my kids' favorites. To vary it, try using different types of cheese. Trust me, if there's a way to add chocolate to a recipe, I will figure it out. Why should popcorn be any different? And this recipe is a real hit with the kids. Baking the popcorn makes it crisp and seals in the wonderful chocolate flavor. Although this popcorn will keep for up to a week in an airtight container, it usually doesn't last that long! If you're a fan of the kind of caramel corn you can get at a summer fair, this recipe is for you. Sweet and crunchy, it's the perfect munchie for movie night or game day parties. This stovetop popcorn recipe is made with real bacon. If you want a finger-licking snack that will wow your family and friends, this is it.